You are here: Home / Blogging / What about Post A Week didn’t I understand? Your impulses and imbalances are more common than you think. It’s good to get some perspective and stop to smell the roses though. Keep a clear head and realise that there are only so many hours in the day………. ( I should be sending this comment to myself !). Try “Post When I feel like it “…..it’s a new mantra. 🙂 …and your readers will still be there. Funny, I do exactly what you do, find myself thinking of something else I want to do while doing something I thought I wanted to do! I try very hard to remember this is a symptom of procrastination, usually (for me). Or a way for my “devils” to pull me off of doing what I want to do in order to frustrate me. It’s so weird how you have to fight with yourself just to do what you enjoy!!! Great post. 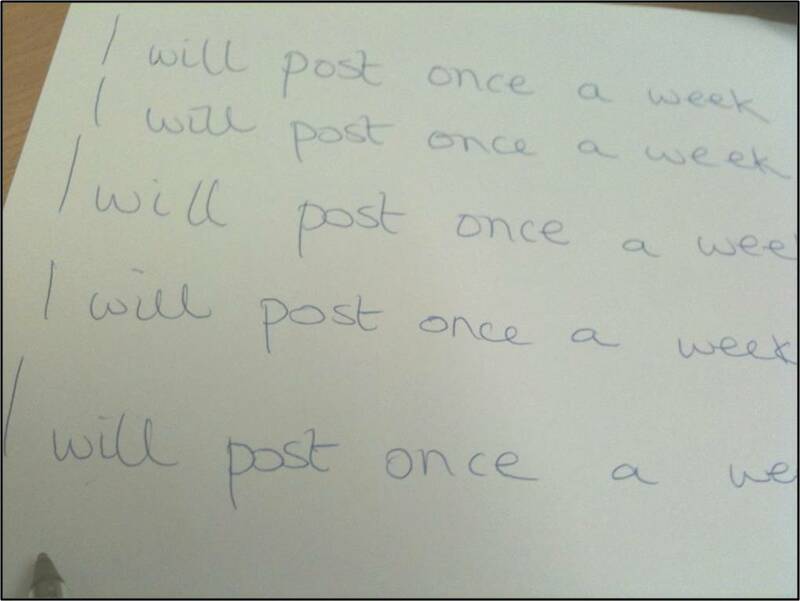 Also, maybe you could commit to “at least one post a week, but more if I have the time and interest”? To keep the door open? Me too! Some of my posts have been written in a white hot fever because it’s almost spilling out of my head until I get it written down! How funny. Just be kind to yourself and remember to enjoy what you’re doing, okay? You don’t HAVE to do anything, so try to enjoy what you choose to do. Easier said than done, I know, but it’s good advice, haha! The thing we don’t include when we commit to blogging regularly is how much time we’re going to spend reading and responding to other people’s blogs! Absolutely! I really underestimated how much work and time it would be….. But it works! It grows readership. Most people read your blog and comment if you do the same for them. Thanks for stopping by, Patti! That’s why I picked the Postaweek & not the Postaday…that would be way to hard unless you were retired! I think anyway! Postaweek has really helped me though! Yeah, it got me to write more and I think that improves writing skills. Most people run on blood > I don’t know why I found that funny, but we do run on blood. I am hoping to get more refreshing and creative indeed. I hope you will tell if I am not… Thanks, 633!